If cleaning upholstery were as simple as washing clothes, we’d probably be a lot more generous about allowing pets, foods, and other potential messes within the vicinity of our furniture. Unfortunately, the complexities of upholstery cleaning are a source of frustration to many. 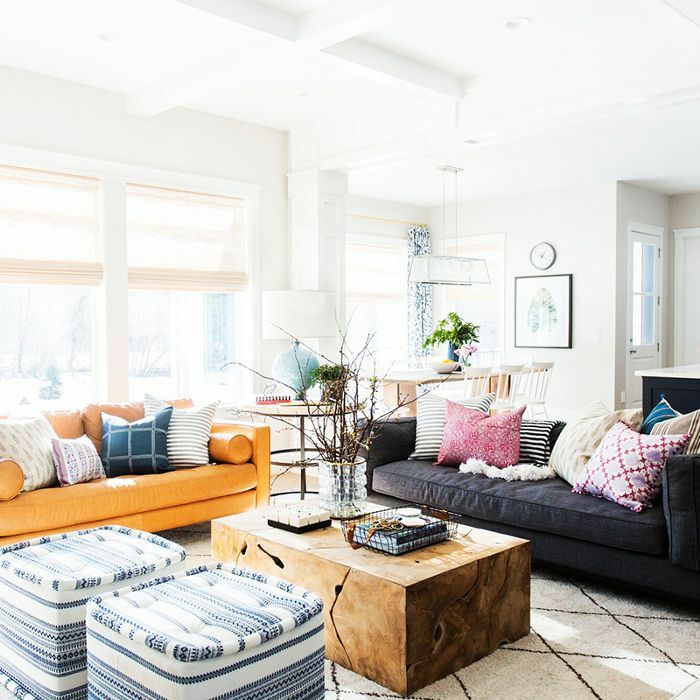 After all, a leather sofa has wildly different cleaning demands than a blue velvet love seat, and the wrong cleaning solution can turn a small wine stain into a massive permanent discoloration. It’s enough to make anyone want to order a new piece and call it a day. The good news is that upholstery cleaning isn’t as complicated as it seems. Yes, there’s some prep work involved, and the process involves a fair share of time and elbow grease. Still, when armed with the right tools, anyone can tackle those old mystery stains and leave upholstery sparkling like new again. Refer to the following tips, and discover how easy upholstery cleaning can be. Examine the tag on the upholstery. This may require a bit of searching, but each piece of upholstery should contain a tag with . This can often be found beneath one of the cushions. The code will provide all necessary information about which cleaning solutions to use. For example, a “W” code indicates that it’s okay to clean with water and commercial cleaning solutions. “S” means that dry cleaning solvents must be used. “W/S” indicates that either method may be used, and “X” means vacuum only. Reach for the vacuum. A simple hand vacuum may do the trick in many cases, but for best results, it’s best to stick with a high-powered vacuum cleaner with an upholstery brush attachment. are especially useful for this purpose because they’re the most powerful vacuums on the market. Use the brush bristles to loosen any caked-on grime. Go over the entire surface of the upholstery, including between and beneath cushions to remove all the stray dust and dirt. Once you’ve vacuumed the surface, it’s time to spot-test the upholstery. Before going to town on those stubborn stains, it’s important to test the cleaning solution on a hidden area of the upholstery to ensure that no discoloration occurs. Again, depending on the type of upholstery, the task may call for a commercial upholstery cleaner, dry cleaning solvent, or leather cleaner. Some people opt for a homemade solution such as a mixture of equal parts rubbing alcohol and white vinegar. Regardless of what the tag says about safe cleaning solutions, upholstery can be unpredictable. Blot the test area gently using a clean cloth and desired cleaning solution, and verify that the solution is safe to use. Assuming the fabric doesn’t lose its color, it’s safe to move on to the next step. Spot-clean any stains. Apply a small amount of the solution to the stain with a spray bottle or soft cloth, and then use a soft-bristled brush to work the solution into the stain and weaken the residue. If the stain doesn’t lift right away, it may be necessary to let the solution penetrate the stain for a few minutes before scrubbing. Wipe away the remaining dirt and cleaning solution with a soft, damp cloth. The cloth shouldn’t be dripping wet; it should be just damp enough to absorb and remove any residual cleaning solution from the surface of the upholstery. Dry the upholstery. Keep the cushions separated from the upholstery surface until all fabric has dried. If possible, place the upholstery outdoors in direct sunlight to expedite the drying process. Do not restore the cushions until the entire surface is dry, otherwise mold and mildew may begin to grow. Upholstery cleaning doesn’t have to be a grueling chore. As long as it’s attended to on a fairly regular basis and new stains are addressed as quickly as possible, the job is quite easy. If freshening up the upholstery is just one small part of a much bigger cleaning mission, check out our tips for .